If you give an undergraduate comparative literature major some Barthes, they’re going to think that the author is dead*. And if they think that the author is dead, then they’ll want to say there’s nothing beyond the text – no history, biography, psychology, sociopolitical circumstance**. And if they think there’s nothing beyond the text, then they’ll want some other way to interpret. And since this is really quite a lot of fun, they’ll want to go to grad school. And when they get to grad school, they’ll have to take their doctoral qualifying exams. And if they want to do well on their doctoral qualifying exams, they’ll suddenly be confronted with a form of knowledge that uses arbitrary markers like “the century” and will have to put all of their hard earned interpretative prowess into a chronological system. And if they want to create a chronological system, then they’ll have to go outside of the text. And if they go outside of text, after all these long years, they’ll realize that it’s actually only fun to do any of these really awesome things we do, whose names are, in fact, various incarnations of the word “structure” – with prefixes and suffixes like “de-” and “-ism” – if you have any contextual knowledge to get rid of in the first place****. And if they do this, then they will realize that, irony of ironies, it is impossible to take Barthes outside of the context in which he’s writing. And that this project is not just a project in and of itself, but a conversation – no, a fight to the death – with everything that came before. And so, like the mouse, we end up where we started. 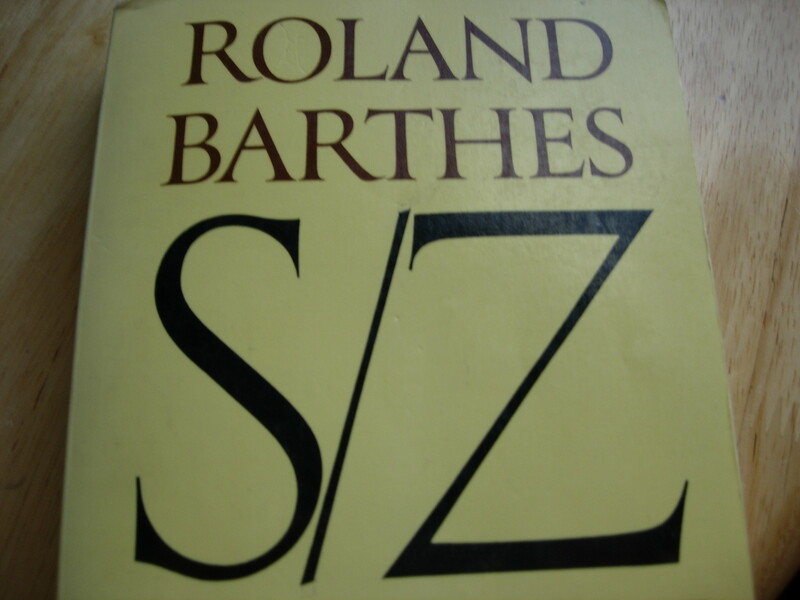 Luckily, for Barthes, rereading – due to constant and forceful forgetting – is the most important facet of reading. ** “Theory of the text” – the text produces its own theory. There is no metalanguage by which to speak of a text.